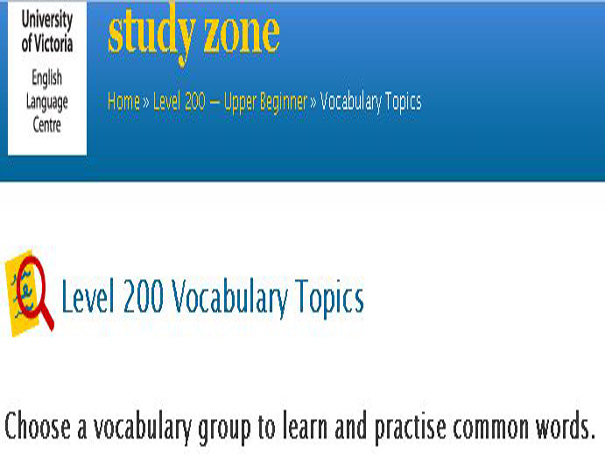 This site covers a number of Basic Level Vocabulary Topics. Choose a vocabulary group to learn and then practice common words. Click on a topic to see all the available lessons and exercises then click on the lesson to begin. Topics include: Animals, Canadian Coins, Clothes, Food, Furniture, Home Appliances, Kitchen Utensils, and School and Office.